After you print a digital photograph, you need to make sure the image doesn't get damaged by water or excessive humidity. Unless you buy waterproof inkjet printing ink or waterproof inkjet paper, the image will smear when it gets wet. 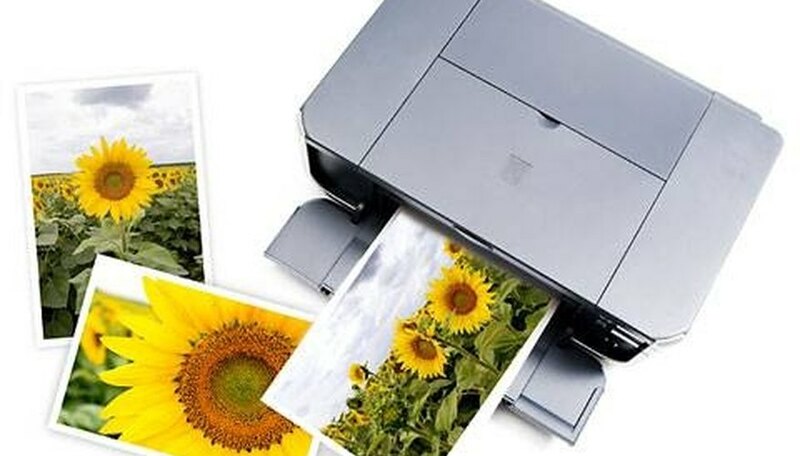 There is an easy way to waterproof your digital photos that will result in no loss of quality for either the paper or your picture, and it takes almost no time to accomplish. Print your photo. Carefully remove it from your printer. Spread a newspaper or other waste paper on a solid surface. Place your photo, printed side up, on the paper. Put some waterproofing liquid in a small container (not plastic) that you can throw away. If you don't have anything that fits the bill, line a small plastic food container with aluminum foil and pour the waterproofing fluid into it. Dip the brush or sponge in the liquid and brush it on the photograph. If your brush or sponge fits inside the waterproofing-material can, simply dunk it inside, dab off the excess and paint the photograph. Let the photo dry for a few minutes. Pour the leftover waterproofing liquid back into the can and seal tightly. We used Thompson's Water Seal for this project. Waterproofing materials are toxic to people and pets. Perform this operation carefully and outside if you can. If you can't, do it quickly in a location where you can turn on a fan that vents to the outdoors--like by the kitchen stove or in a bathroom that has a fan.